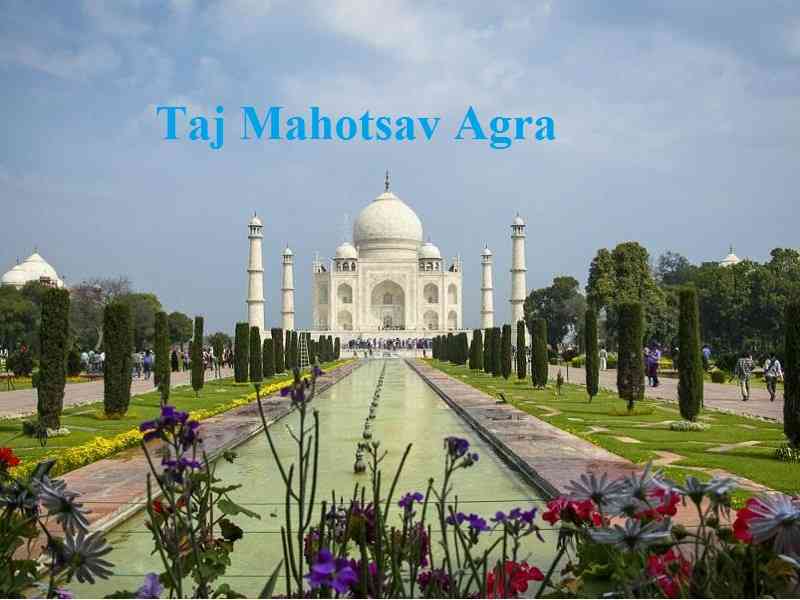 Taj Mahotsav is an art and craft festival dedicated to art, craft, cuisine and culture of Agra and India. Every year, thousands of people came to Agra to attend this grand festival. This 10 day long festival displays rich heritage and culture of the country along with Mughal era and Nawabi style. More than 400 artists from around the country came here to display their art. Drum beaters, folk artists are also coming here to show their ability in front of the World. Regional cuisine stalls are installed here to serve the tasty food. For kids entertainment, a fun fair is organized here, where kids can enjoy various swing and rides. Overall Taj Festival 2018 is a complete entertainer for Indians and as wells as foreigners. First Taj Festival was held in 1992 to promote the rich heritage of India by inviting different artist around the country. It is organized by Taj Mahotsav Samiti every year. It is a great hit and getting bigger year by year. 2018 Taj Mahotsav is 27th edition of Taj Festival. 27th continuous years are showing the success of this event. Main focus of this festival is to promote arts & crafts, culture, cuisine, folk dances in front of the India and World. Taj Mahotsav is celebrated every year for 10 days. 18 February to 27 February are the dates for this festival. Taj Mahotsav 2018 start date is 18 February and Last date of the festival is 27 February. Festival timings are Morning to night as per schedule. Organizing committee charges a small entry for attending this grand festival of art and culture. Adult ticket price is 50 Rs and kids under 5 years are eligible for free entry. Children 5 to 10 years of age need to pay an entry fee of just 10 Rs. Entry is also free for Foreign tourist. School groups can also visit this fair by paying a small fee. For a group of 100 school students in uniform, school management need to pay only 500 Rs and tow teacher entry is free with them. Cultural program entry is included in entry fee ticket. No entry ticket si required for cultural programs. Every year a theme is selected to host much awaited Taj Festival. This year organizing committee ask the suggestions for theme of Taj Mahotsav from the general public. Hundreds of general entries received regarding this year’s theme. Dharohar theme sent by Nidhi Srivastav is selected by the committee and Taj Mahotsav 2018 theme is Dharohar. The Cash price of 10 thousand Rs will also be given to theme winner in closing ceremony. Entry gate, stage, hoarding, internal decoration, etc. will also be decorated as per the theme. Taj Festival venue Shilpgram is located near to World Famous Monument Taj Mahal. Taj Mahal is one of the most visited Monument of India and many foreigner came here to visit the Taj. Shilpgram is located near to Eastern Gate of Taj Mahal. It is one of the most famous monument of Agra. It is around 9 KM far from Agra Cantt Railway station. Various modes of transport are available to reach here like auto, shared tempo, buses and private cabs. Airport is also located in Agra city and it has limited flight connectivity. Visitors who are in Agra should visit here as it is very good art, craft festival and notified in government festival calendar. I hope this information is helpful for those who planning to visit Taj Mahotsav 2018.